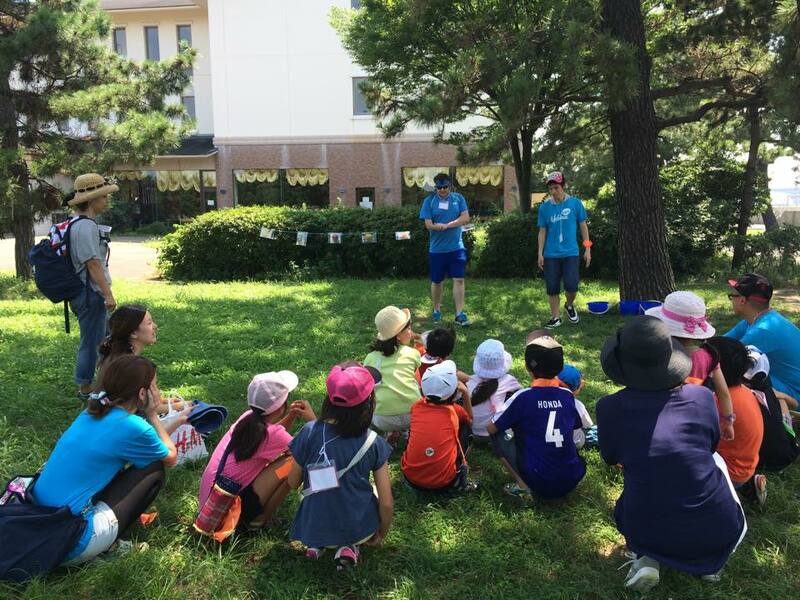 ライフハウス キッズ キャンプ！ Lifehouse Kids Camp! 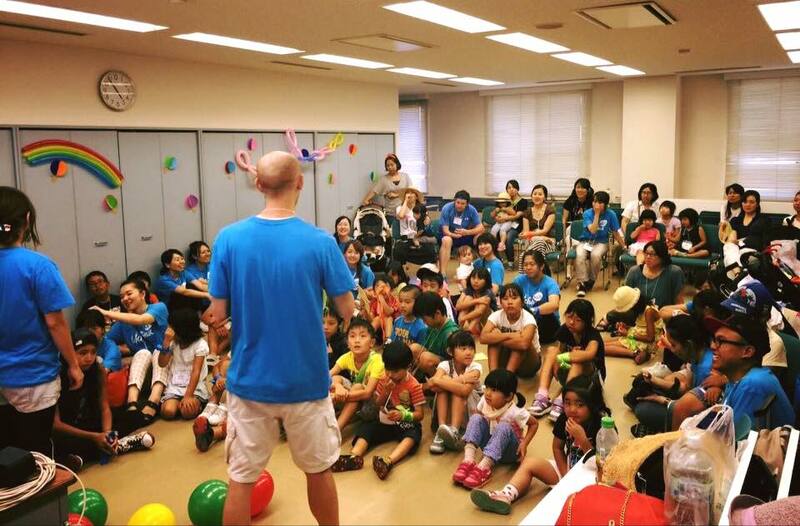 Check out our official blog to find out about Lifehouse Osaka church updates. 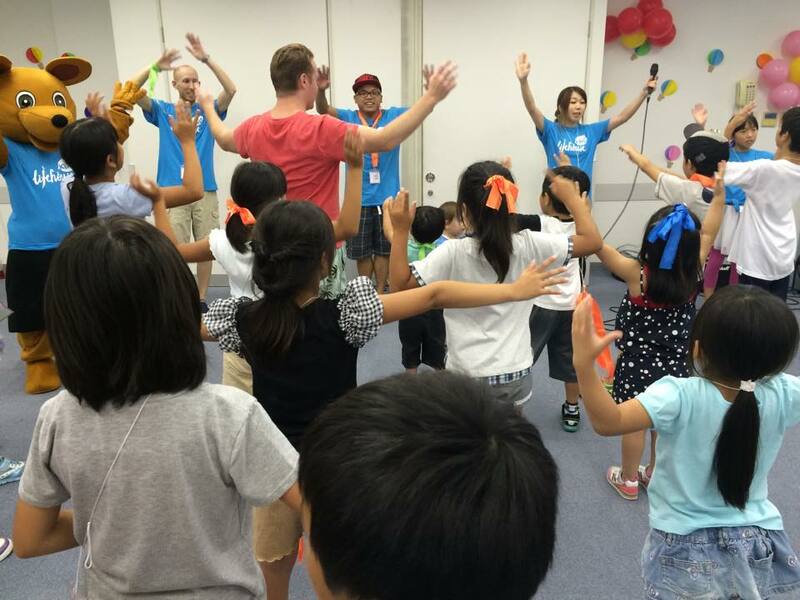 This week, Lifehouse Osaka had our first Kids Camp!!!!! It was AMAZING 2 days!!! 2 days were too short! Over 70 people came and lots of children haven’t been to our church before! 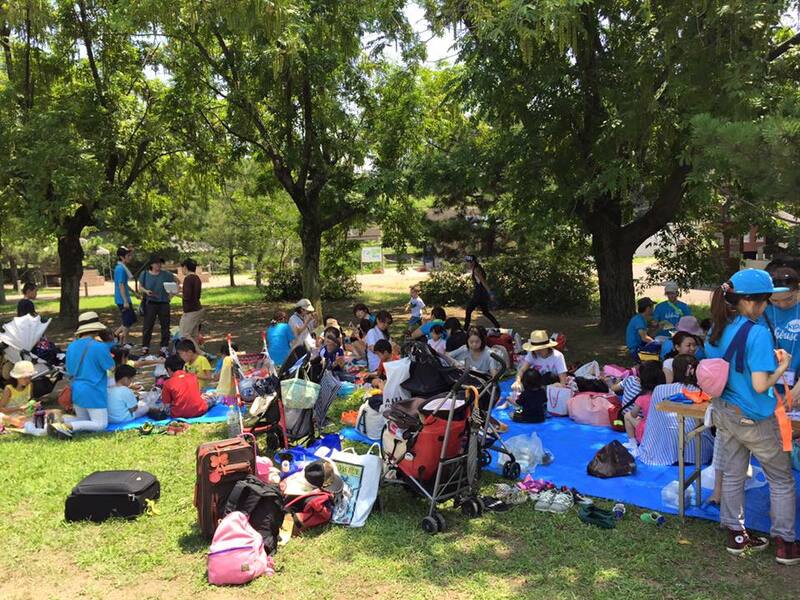 Day 1, we got together at Hamadera park! 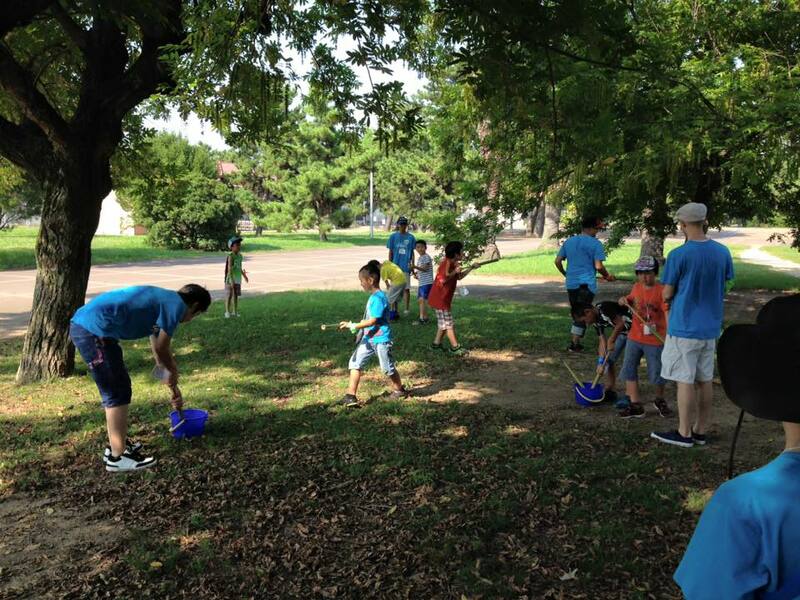 It was a hot day, but we were blessed with good weather! 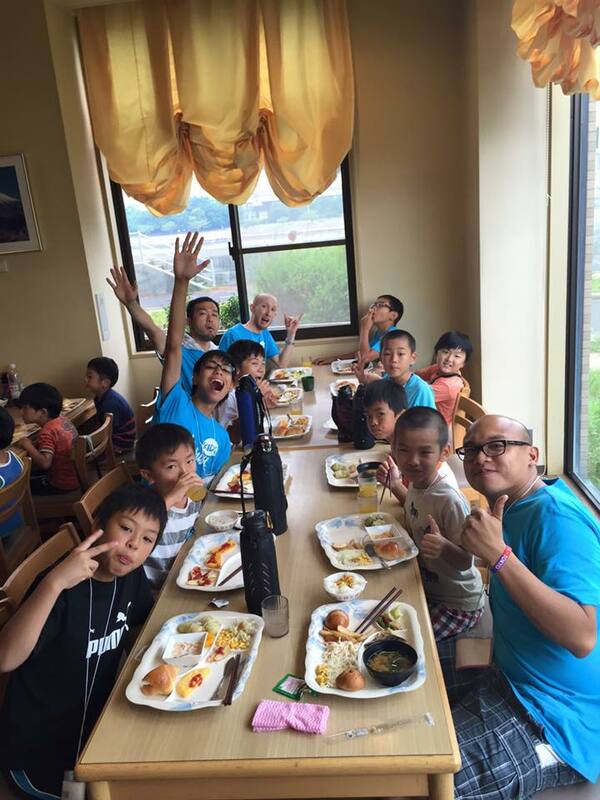 We ate lunch together and had orientation. 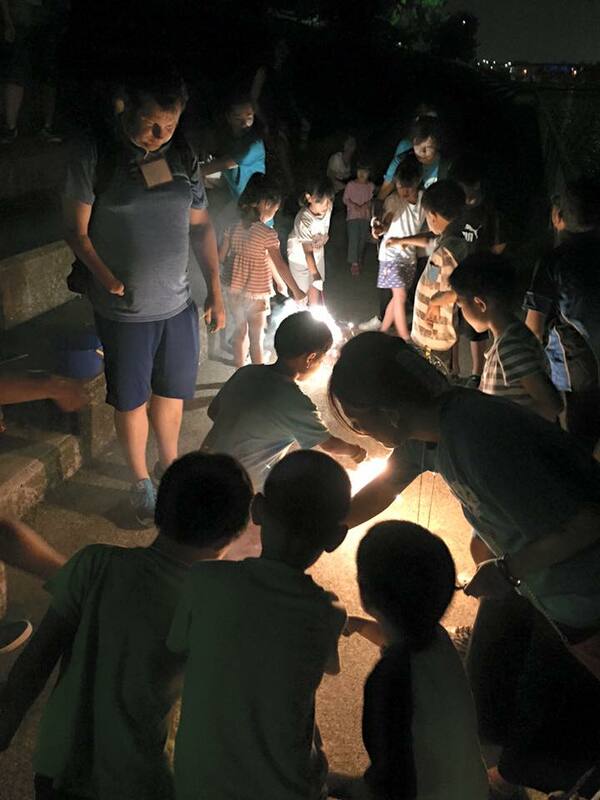 We got into groups and enjoyed English activities. There was great team work to complete all the challenges! And then we had Lifehouse Kids Worship Party!!! 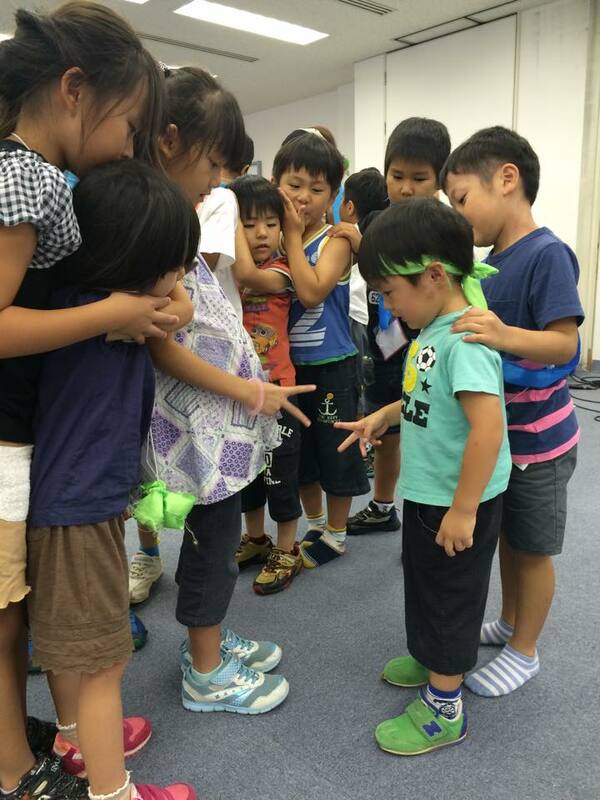 We had English games, worship in bilingual, bible story time…. packed full of fun! 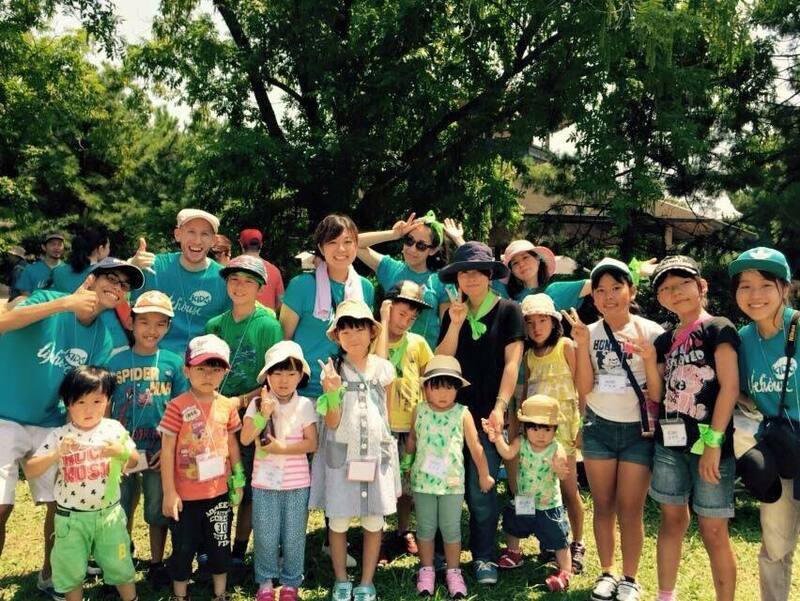 Kanta, the Kangaroo, Lifehouse Osaka Kids volunteer was so popular too! 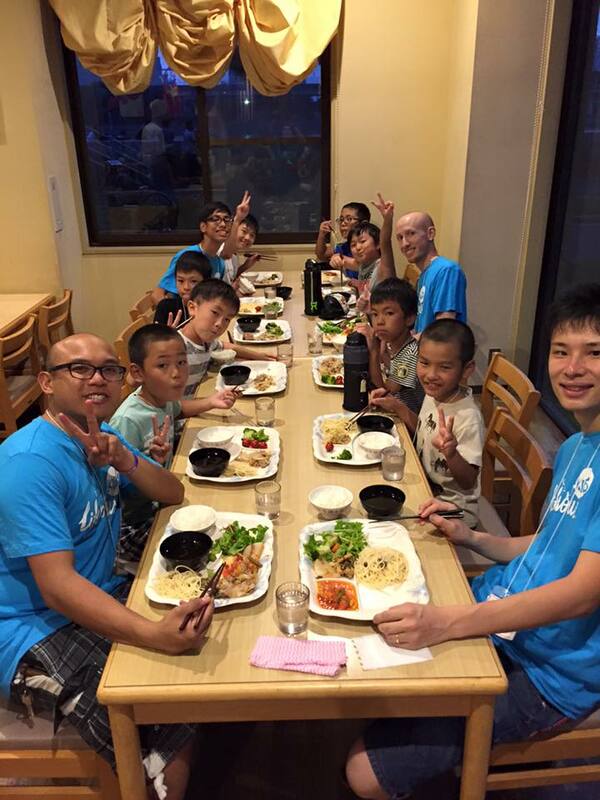 It was so fun to eat dinner together 🙂 We stayed at the youth hostel overnight. Friends who only came for the day didn’t want to go home and they stayed until the very end. 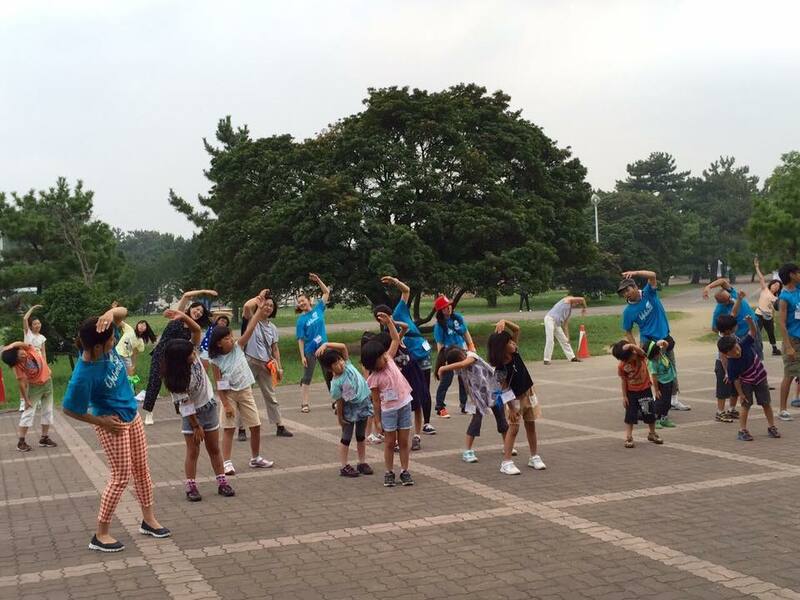 2nd day morning started with exercise! 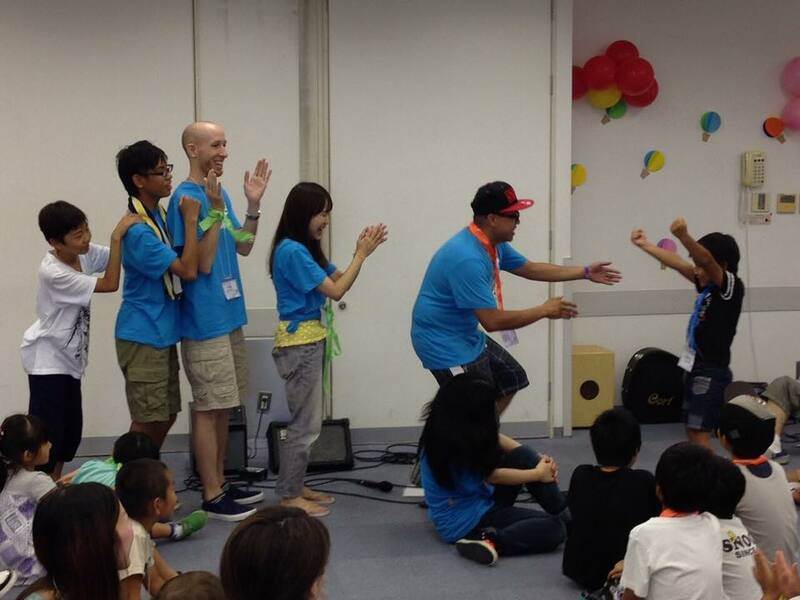 2nd day worship was full of energy as most kids remembered the songs and dance moves! They were so cute! I was really moved by seeing our Kids leaders and volunteers. They are top quality people! They are gifted at teaching and encouraging. 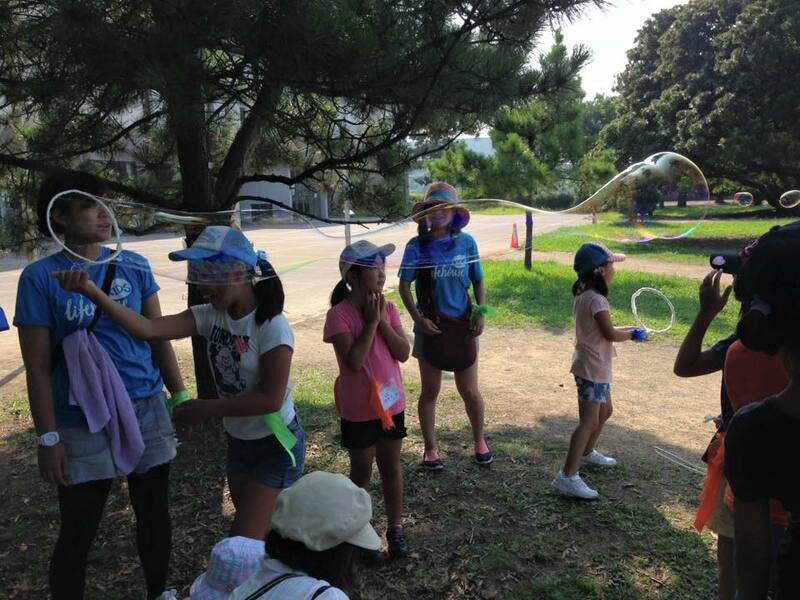 Even the shy kids were gaining confidence and they became more proactive! And the volunteers who supported behind-the-scenes were fully of love towards the kids and really believed in their potentials! It was exciting to see how they gifts were used! 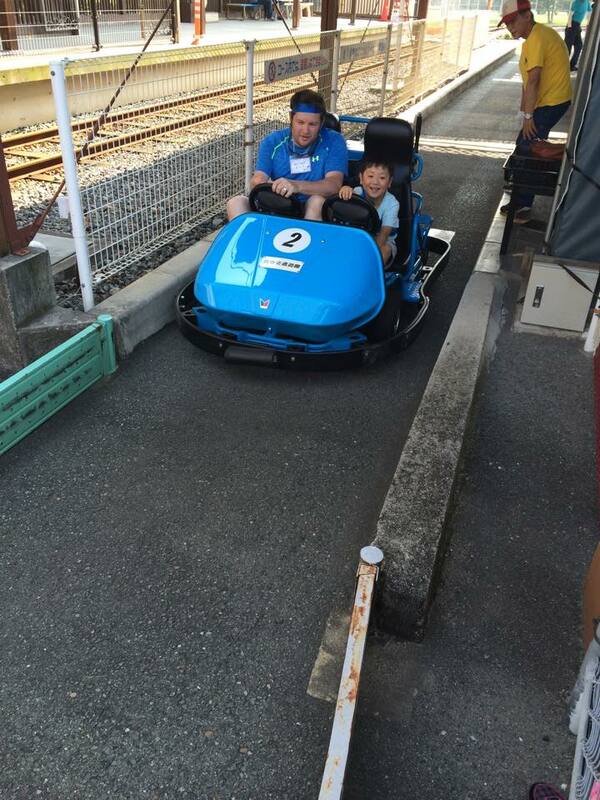 All the kids had lots of fun and they were saying, “I don’t want to go home~! I want to stay here forever!” and “let’s make it 5 days camp for next year!” And we were happy to heart that! My son is so blessed to grow up in a environment full of love, surrounded by people and most of all God’s love! I’m also blessed to raise kids in this environment and I’m so thankful. Those who missed out on our kids camp, come to church with your family!!! 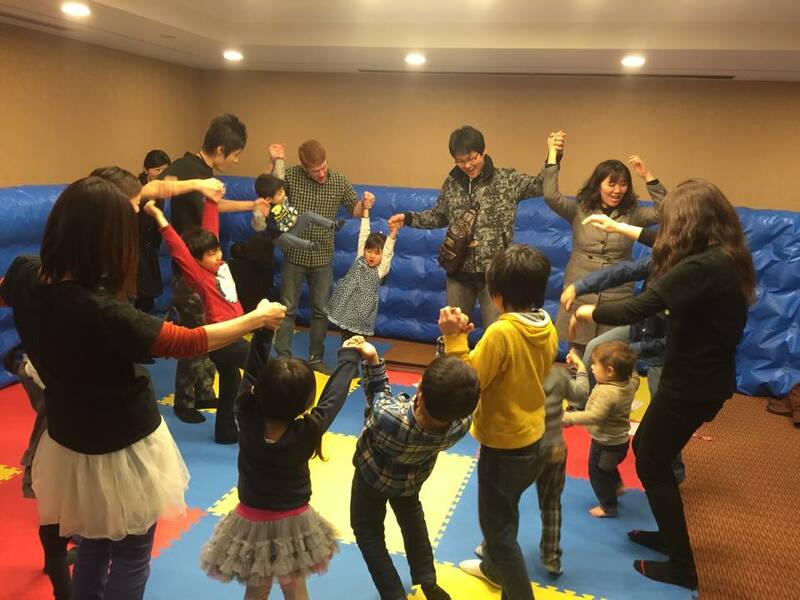 We are going to have language exchange for Families this Sunday! If you want to learn English with your kids, come along! It’s free!!! !